Nimble Builder is a free WordPress plugin for building pages in real-time preview, allowing you to drag-and-drop modules like text-editor, images, contact forms, maps, icons, or beautiful pre-built sections with a parallax background. The plugin is lightweight, intuitive and very easy to use. 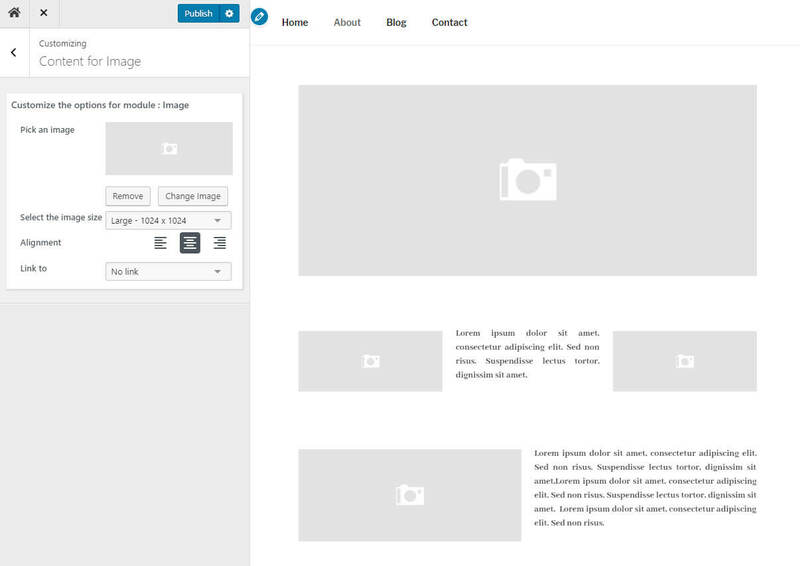 See examples of pages created with Nimble Builder in the Customizr theme or in the Hueman theme. Here's a 404 page designed with Nimble Builder. You can easily create column layouts, and add content like buttons, icons, Google maps and even contact forms in any page. One of the specificities of Nimble Builder is that it can be used in absolutely any context of your WordPress website. It does not make any difference if you need to add sections to a page, post, category, search page, author page, 404 page, WooCommerce product page, and so on. Nimble Builder takes advantages of the WordPress live customizer, which is the perfect interface to safely build your site in real-time preview, and publish when you're happy with the result, or save your work as a draft for later. Under the hood, Nimble Builder is designed mobile-firts and has been optimized for speed performances. It uses a CSS foundation built from the latest Bootstrap framework, which ensures a pixel perfect rendering on mobile devices.